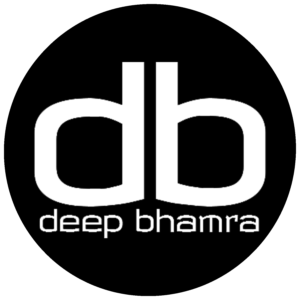 DJ Deep Bhamra aka db / Deep has been following his passion for music and honing his skills for a while now. It all started at an early age of 10 by learning to play various instruments. He decided to pursue his passion right after high school. And what started as a favourite leisure pursuit with personal experimentation, quickly became a main inspiration for this dynamic DJ eight years ago when he zealously chose DJ’ing as a career. Having worked in a brewery for almost two years playing Retro, Rock and Old Skool music, Deep decided to move into a Night Club again. Therefore, took up the opportunity to work with the award winning Night Club, “The Flying Elephant” at Park Hyatt in Chennai as a Resident DJ. This Night Club offered a unique opportunity to play Retro music on the weekdays whereas Club music and Bollywood over the weekend. Gradually, he started earning his name in the Music and Party world of Bengaluru & Chennai. This led to many Club Gigs, Private Parties, Destination Weddings and Travel to several parts of the world. He soon joined forces with “DJ Jasmeet”, One of the top DJ’s in bangalore and worked hand in hand with him for several events locally and internationally learning more and polished his skills and knowledge for this art better. DJ Deep believes that acquiring technical skills is an ever evolving process and that it is important to advance with Music. Setting trends in the industry is more important and of top priority regardless of the genre. Today, he understands the nuances of music-making much better than before. Amidst all this, he began putting his learning to good use by producing music. He was soon making noise in the Indian DJ Fraternity and began collaborating with other DJ’s and other artists across the country and overseas, producing remixes by adding a personal touch to his favourite tracks. Continuing in this journey to be a happy and successful DJ, he has moved back to Bangalore after a year and is currently the Resident DJ at “I-Bar”, The Park Bangalore. As a DJ, he intuitively works a room with his creative mixing, playing quality music for the masses as well as the most discriminating audiences. 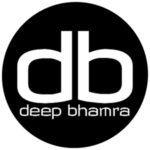 Although his choice of style is Commercial House, Bollywood, Hip – Hop & Deep House, he has a deep liking for Tropical House / Ambient, Chill-out, Rock and Retro. With a huge collection of tunes in hand, covering a wide range of genres, Deep leaves trails of memories, melodies and stories wherever he goes. After having performed and opened for many recognisable DJs, there’s a lot new he is gaining everyday further sharpening his skills technically and musically.